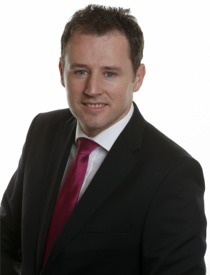 Fianna Fáil TD for Donegal Charlie McConalogue has warned that if Britain votes to leave the EU it could have "very serious implications" for border counties. “The referendum on Britain’s membership of the European Union takes place in just over three weeks’ time on June 23. The outcome of this vote could possibly change cross-border relations across a range of areas including trade, travel and tourism," he said. In the event of a Brexit, the border between Northern Ireland and the Republic would become an external border for the EU, and could possibly lead to a hardening of the border between North and South. This would impact on cross-border workers, students and also tourists in Donegal," he added. (Fianna Fáil) do not believe that Brexit is in the best interests of the European Union and certainly not in the best interests of the Island of Ireland."